Whatever type of task you perform, if you use the right tools, you can create the perfect experience. You can make sure that your work goes effectively and in the most affluent manner. You can achieve the level of supremacy that you want. Be it correctness, ease, smoothness or overall experience, there are some software and tools that can help you achieve them all. In a lab, Laboratory information system can do wonders. This system is a software based system that is used to manage all laboratory operations of this modern age. Most of this software manages the order entry, patient check in, result in entry, particular processing, patient demographics and much more. The system or software mainly enables the technicians to fill in the results into a database that is available to authorized users when a patient gets tested at the hospital, clinics or a health centre. 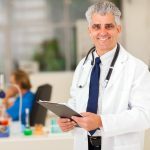 Moreover, to treat and diagnose patients, the result of patient lab test is being associated with individual’s electronic health records that provide extra information to clinicians. Whatever type of tasks or procedures, the presence of software can make it all effective and easy for you. More work, less amount of paper work. The lab staff would focus more on the care of the patient rather than wasting time in carrying out paperwork. It improves the safety of the patient. With the good access to results, quicker TAT’s, completely enforced quality checks, patient safety gets improved. The system even enhances turn-around times. It does reduce the work times from directly hours to minutes by automating different types of manual processes. You also attain increase level of volume & capacity. It means with the existing set of analyzers & tools and with the better turn-around times, test runs & patient volume get a great increase. 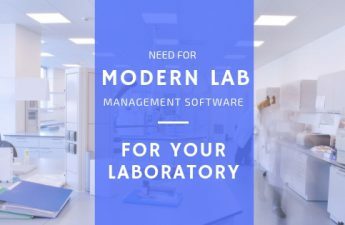 So, check out the Lab management software and attain the best experience in your laboratory tasks. Once you bring this advanced tool in your laboratory tasks; you experience utmost effectivity and efficiency. What can an Information System do for Hospital?